YouTube is slowly rolling out its new redesign of the homepage and video pages. 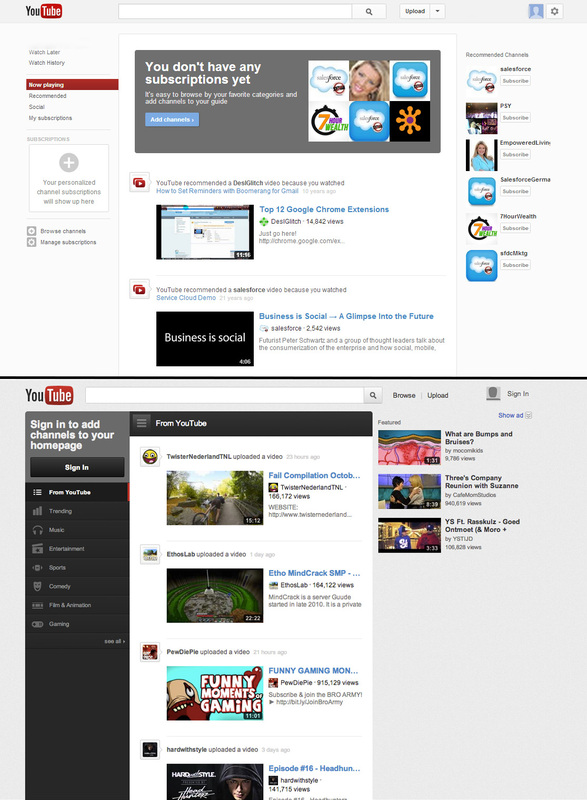 The redesign is inspired by the recent refresh of Google+ and has a strong focus on curated channels and subscriptions. As I wrote earlier, YouTube wants to become more like TV by focusing on unique and professional content by creating a more engaging and seamless experience. 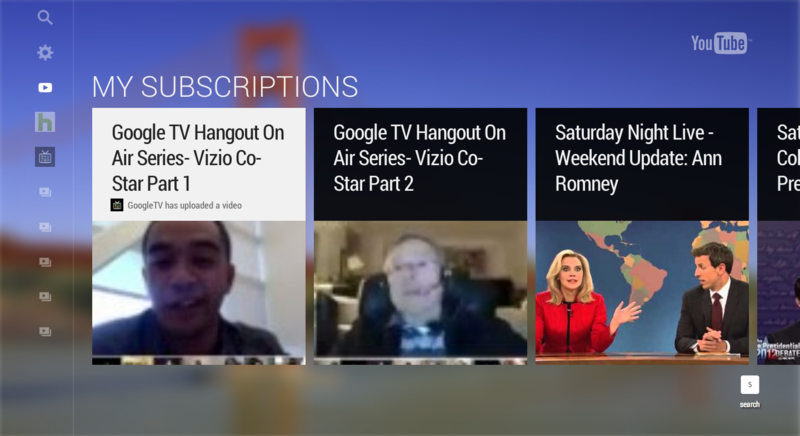 The first big update was YouTube TV: ‘With YouTube TV as the updated version of YouTube leanback it tries to become even more accessible on the big screen and create a TV like experience’. The new YouTube TV experience provides a slick interface without distraction that creates a more seamless and engaged experience which makes YouTube more interesting for high quality ads. Now the website’s interface gets a big update with less distraction, less buttons and a cleaner interface. Other changes to the YouTube experience include a ‘watched’ label which is shown after playing a video. The new homepage has a clear focus on channels and subscriptions. The new sidebar is only one click away from any page of the website, just like most mobile applications the sidebar flies in when the sidebar button is clicked. The focus on recommended, social and subscribed content YouTube tries to be a more engaging aggregator providing an even more personalized experience and more seamless and continuous video viewing. 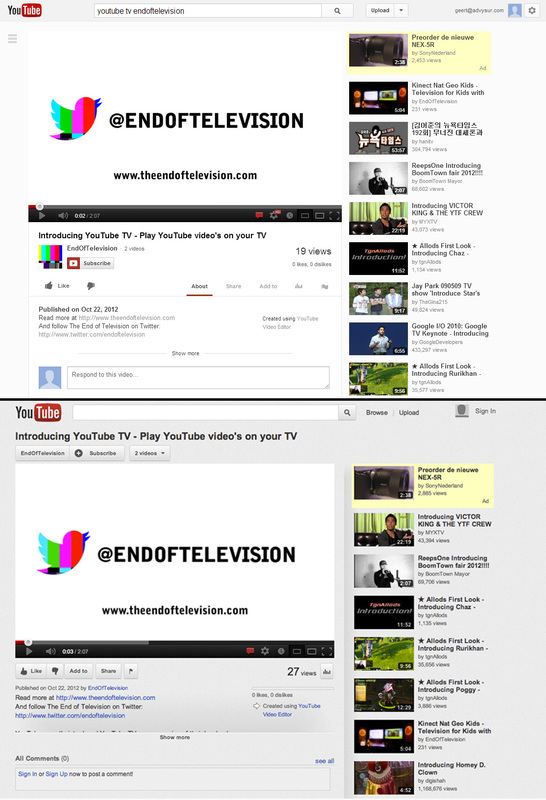 Below a comparison of the old and new interface of YouTube’s video page with first the redesign and second the old layout. Note how the titel and subscription button is moved below the video with a clear subscription button and about, share, add to, stats and flag as equal tabs. In the header the YouTube logo is smaller The whole design has more white and a smaller header as a result from resizing the logo and moving the title of the video. On the left a ‘quick’ navigation button is added that show subscriptions and channels.